Every color will be available! Either complementary to the orange hands and indexes – or completely uncomplementary and downright provocative! The new 42 mm titanium watches from ochs und junior reflect your character, your outlook on life. Cador have sent us their first two sample dials, as a result of which we’ll be intensifying the orange color of the indexes. The color of the ‘dash’ marking indicating the date of the mese will also change. 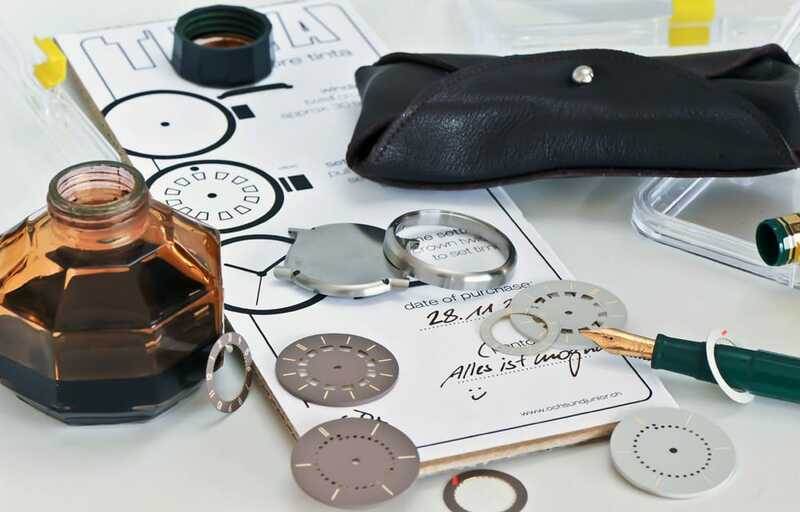 Messerli the watchmaker will be chamfering the first of the titanium cases today, fitting the crystals with gaskets and assembling the first watches. 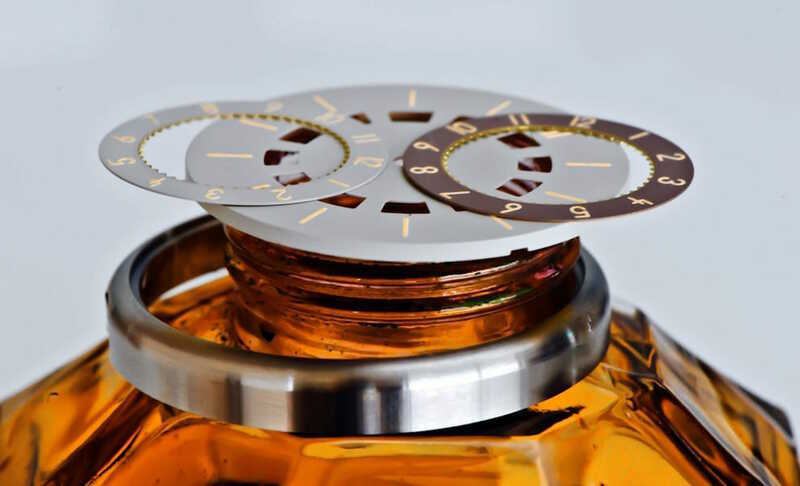 We’ll be getting the rest of the colored dial samples some time in December and assembling the watches accordingly. We can’t wait to pass them onto Bea for the photo shoot! Meanwhile we’ve been giving some thought to the color personalisation of the watches. As I say, anything is possible! As you might expect, though, applying each color to the dials involves time and effort… and then there’s the question of how a customer chooses the exact shade – not everyone has a calibrated computer monitor capable of giving the exact color.